OneDrive (formerly SkyDrive) is the one place for everything in your life. 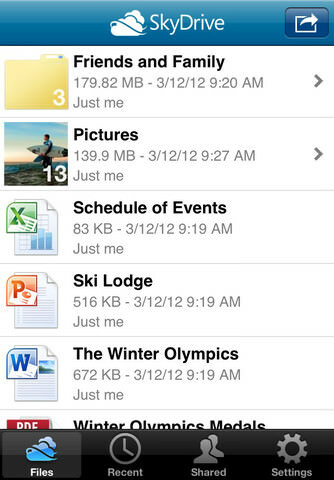 Easily store and share photos, videos, documents, and more. When you upload photos or videos from your iPhone or iPad to OneDrive, you can get to them when you’re on your PC, Mac, tablet, or phone. If you need more information please contact the developers of OneDrive for iOS (Microsoft Corporation), or check out their product website.